How Pixar made Coco the biggest box-office hit in Mexico’s history. Mexican abuelitas are powerhouses of resiliency, fighting to make ends meet. For viewers in Mexico, Coco’s authenticity begins with the way the characters speak. Coco’s use of Mexican Spanish is subtle and, obviously, devoid of the Spanglish the English-language version scatters through the film. 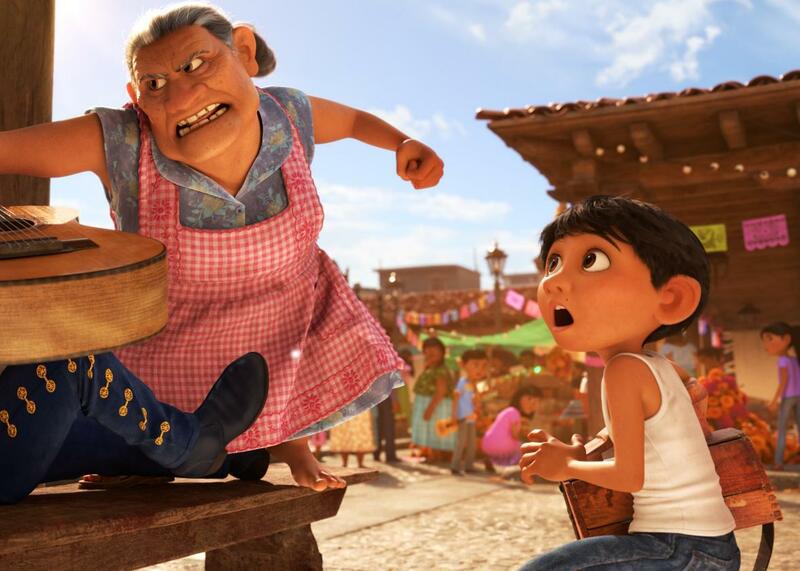 To dub the characters’ dialogue, Pixar picked singers and actors, both locally famous performers like Angélica Vale, César Costa, and Víctor Trujillo, and household names like Gael García Bernal (whose voice appears in both versions)—as well as other more unexpected choices, like renowned author Elena Poniatowska, who voices Coco herself. But they deftly steered mostly clear of local slang like the prodigious loquacity put on display by Mexican comedian Eugenio Derbez in his version of Shrek’s Donkey. Coco’s characters have no need for that sort of narrative grandstanding to convince the audience that they are thoroughly believable as Mexicans. Its sense of Mexicanness seems organic rather than a Hollywood studio’s ploy for the Hispanic audience. Coco never needs to sell its authenticity to the viewer because the Mexico it represents feels as if it was created by people who have taken the time to get to know the country, not only its colorful traditions but some of its darker intricacies as well. Yes, the references to Mexican pop culture are great. (Frida Kahlo, El Santo, and Pedro Infante are all there; a character even wears the bright green soccer jersey of Mexico’s beloved El Tri). But it’s the film’s production design that makes it feel as though it truly takes place in Mexico. The town plaza, the chaotic alleyways, the dusty streets, the bright orange of the marigold, even the street dogs roaming free. Molina told me that his team drew inspiration from the urban landscapes of Mexico City and colonial Guanajuato, but found towns in Oaxaca and Michoacán in southern Mexico particularly inspiring. (It was in Oaxaca where Molina met a family of shoemakers who had practiced the craft through generations, just like Miguel’s family.) Miguel’s village is, of course, a somewhat Disneyfied version of the country’s rural towns, where poverty and scarcity are often overwhelming. But the colorful fiestas, the close-knit families, and the joy of music on display are also Mexican. What has truly made Coco resonate among Mexican audiences, I reckon, is the way Mexicans can see themselves in its characters. Mexico, a country of migrants, is full of families like the Riveras, where mothers heroically head the household while fathers are absent or, if present, sometimes repressive or violent. In many cases, the job of raising a family is shared with that other Hispanic archetype: the courageous grandmother. Mexican abuelitas are powerhouses of resiliency, fighting to make ends meet even if it takes (as in Coco) learning a new craft midlife. Molina acknowledges that this family dynamic—absent men, hardworking women—is no coincidence in the movie’s narrative. “That was definitely on the radar,” he says. “In my own family my mother tells stories about how her father had to separate from his wife for 10 years so that he could provide and send back money.” That is the world Coco portrays in an unflinching, if tender way. Films made in Mexico tend to be either serious-minded endeavors that tackle the more sinister side of our society—like the work of Amat Escalante, Michel Franco, and Carlos Reygadas—or the broad and silly comedies that dominate the box office, which (like telenovelas) take place in a country where everybody is suspiciously blond and blue-eyed, living large in one of Mexico City’s cool neighborhoods. Coco falls between those two poles. Its Mexico is sweet but recognizable, and its characters look and live like many Mexicans do, practicing a modest trade outside of Mexico City. Even viewers in the capital know that version of Mexican life, one key to the nation’s self-image but often forgotten by our film industry. It was to be expected that Coco would be greeted with some degree of skepticism: Is it accurate? Is it pandering? Is it Mexican? And Coco has engendered debate. One pundit argued that the Day of the Dead, an invention of the 20th century, is not truly a Mexican tradition. Gerardo Fernández Noroña, a well-known Mexican politician and independent presidential candidate, rejected the film, writing on Facebook, “Coco stinks. 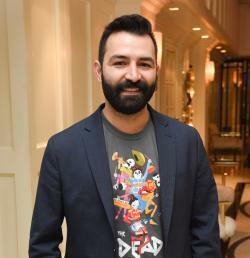 It has nothing to do with our traditions.” In response, others, like the film critic Mauricio González Lara, have defended the movie, saying, “Coco distills and embraces the history of the country, its myths and most popular icons,” adding that the designs of the characters and the places they live in reveals an almost anthropological precision. The fact that the movie is being discussed by intellectuals, politicians, and critics alike suggests that Coco is more than a hit—it has truly become a touchstone for Mexican moviegoers.